Manistee River Salmon Guide Service customer, Lance Swank, holding a beat of a king salmon that he got casting a thunderstick. I think that he became addicted to that ferocious bite of a river king on a crankbait, because that’s all he wanted to do his next 2 trips! Gabe Sopocy from Chicago, holding a beautiful lake trout that we jigged up on West Grand Traverse Bay while fishing with Traverse City Bass. Gabe reports that this fish was “delicious”! 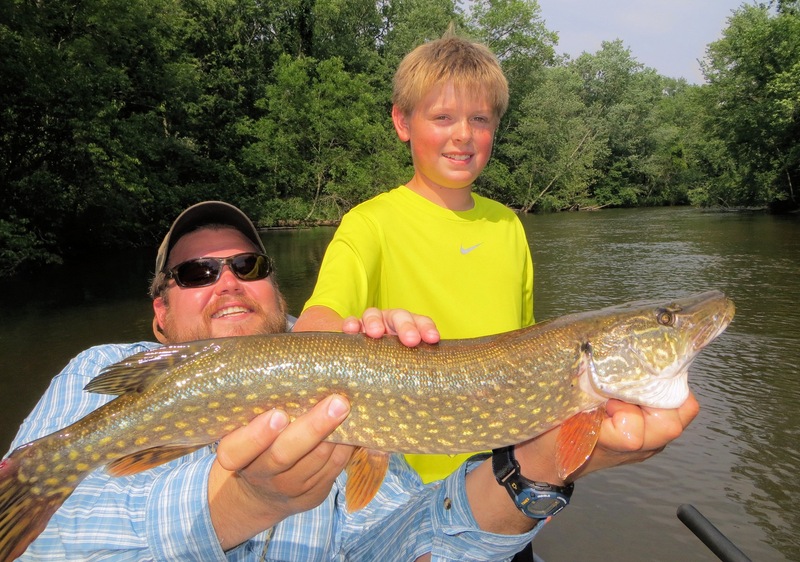 Wolfe Outfitters guide, Matt Dunn holding a pike that customer, Austin caught while fishing the Pere Marquette River. To date, this was Austin’s largest fish. 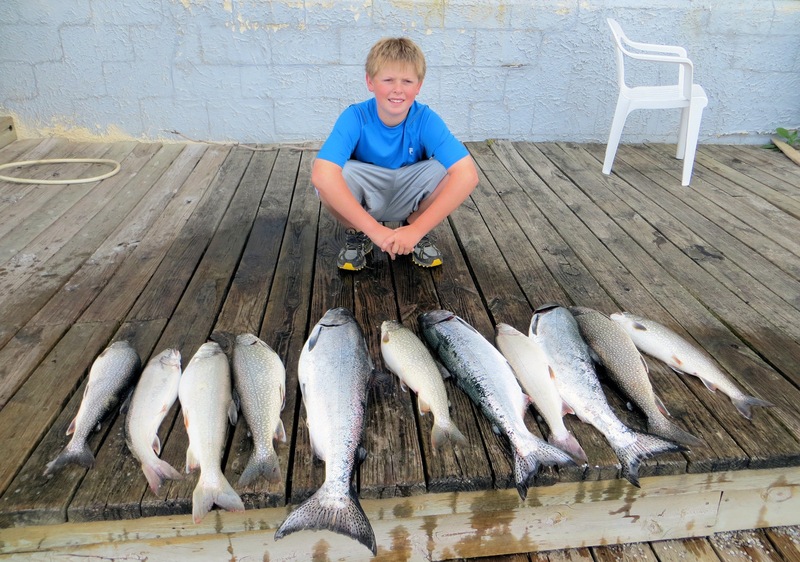 On the next day, Austin and his dad, Gary, went out with Sport Fish Michigan Captain and friend, Capt. Brian Springstead out of Traverse City. 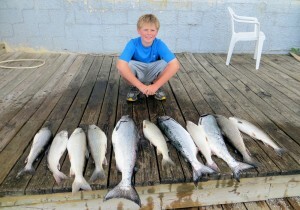 Happily, that big king salmon in front of Austin was now his largest fish ever. 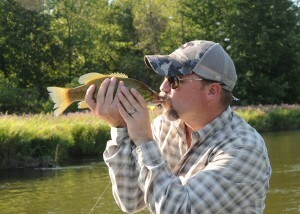 Two days in a row, he caught his largest fish. Way to go! Austin is definitely hooked!!! 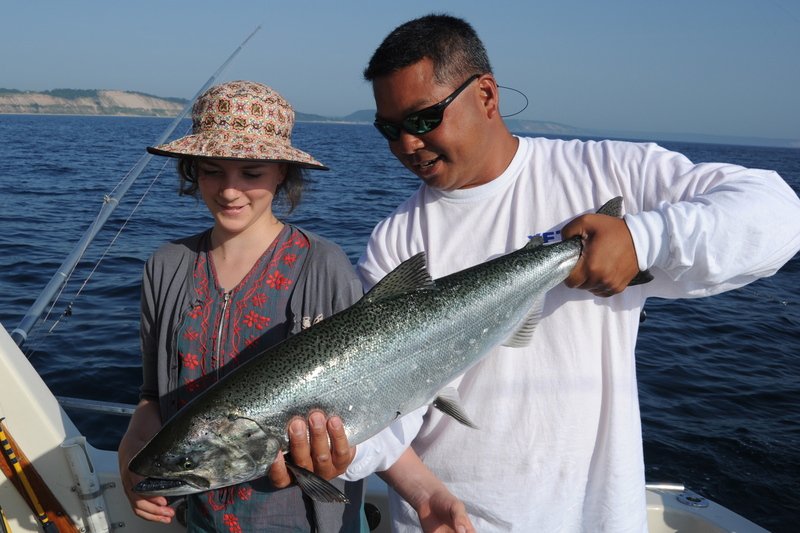 Fiona Thistle, visiting from Wisconsin is busy reeling in her very first king salmon while fishing with Captain Andy Odette, out of the port of Frankfort. Capt. 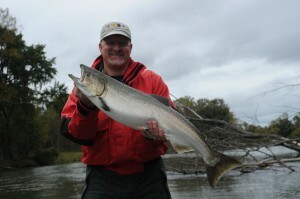 Andy is a big part of the Sport Fish Michigan network of the best Charter Captains & Guides in Michigan. Captain Ben Wolfe holding one of Fiona’s big king salmon. For the first fish of her life, this is quite a way to start! 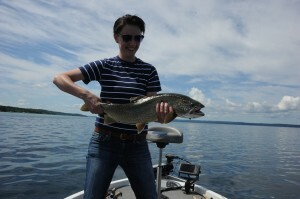 Fiona reeled in 3 big king salmon and a 20-pound lake trout! 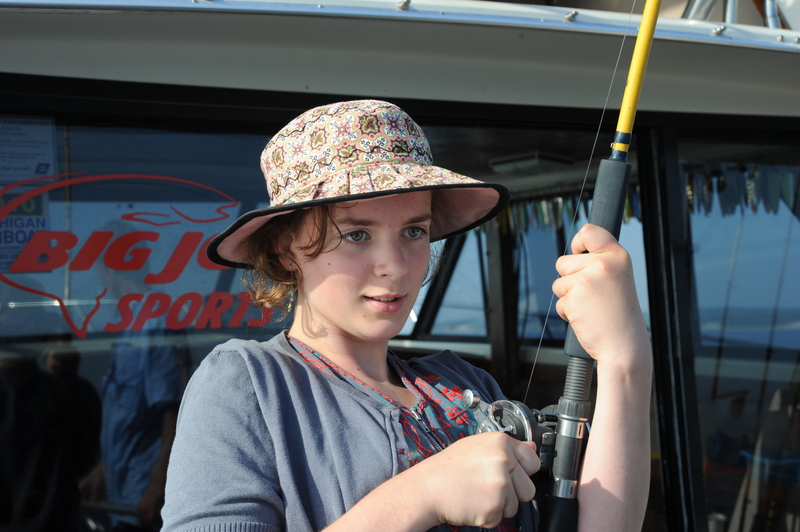 Catches like that will keep her coming back in the future. Artist and good friend, AD Maddox created this Adams fly just for us to use with our new Wolfe Outfitters logo. We’ll be using her artwork, and adapting it for the new logo.